Take your game sessions up a notch with the Nintendo Switch™ Pro Controller. Includes motion controls, HD Rumble feature, built-in amiibo™ functionality, and more. 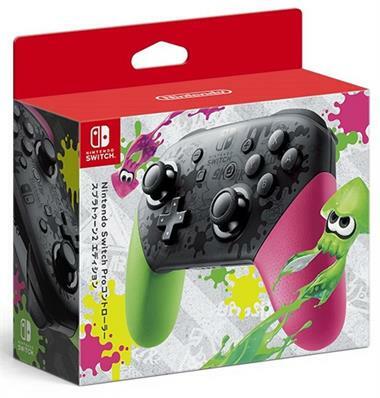 Now with neon green and pink colors inspired by Splatoon 2. This is incoming import inventory and orders will ship on or around September 22, 2017. Japanese Nintendo Switch controllers will work on USA Nintendo Switch consoles.